Over the past 18 years and in more than 50 countries, Rhodeside & Harwell has provided landscape architectural design and site planning for the US diplomatic missions abroad. We have led breakthrough initiatives, including “net zero” water management, secure site design, use of native materials and local craftsmanship in support of the Department of State’s Design Excellence programs. Our professional team is well-versed in the complexities of planning and design for American diplomatic campuses overseas, requiring sophisticated perimeter and site security measures while projecting a welcoming and engaging presence for visitors. Working closely with our teaming partners, we study context carefully and take cues from local culture, history, architecture, materials, and ecosystems. We were awarded the first ever award for sustainable design excellence by OBO for our work on the US Embassy, Haiti and continue to lead the way in eco-diplomacy design. Recent projects integrate OBO’s Design Excellence standards with advanced measures for stormwater management and long-term site sustainability, upgraded site security requirements and preservation of historic and archeological resources. 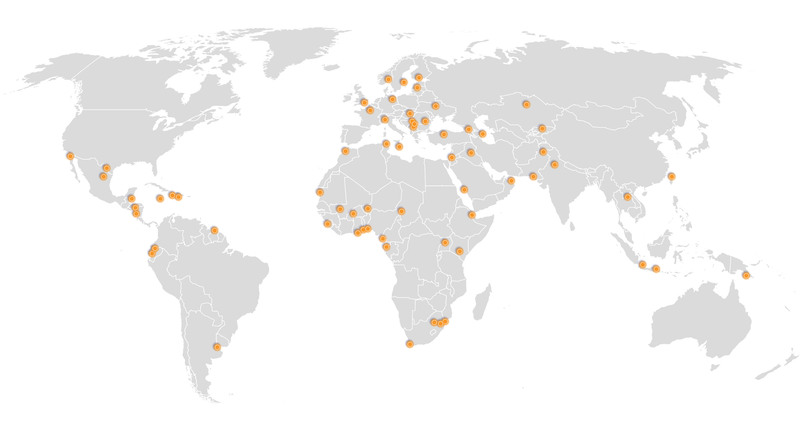 We have an expansive portfolio of built work and work underway in Africa, Central America, the Caribbean, Europe, and Asia. 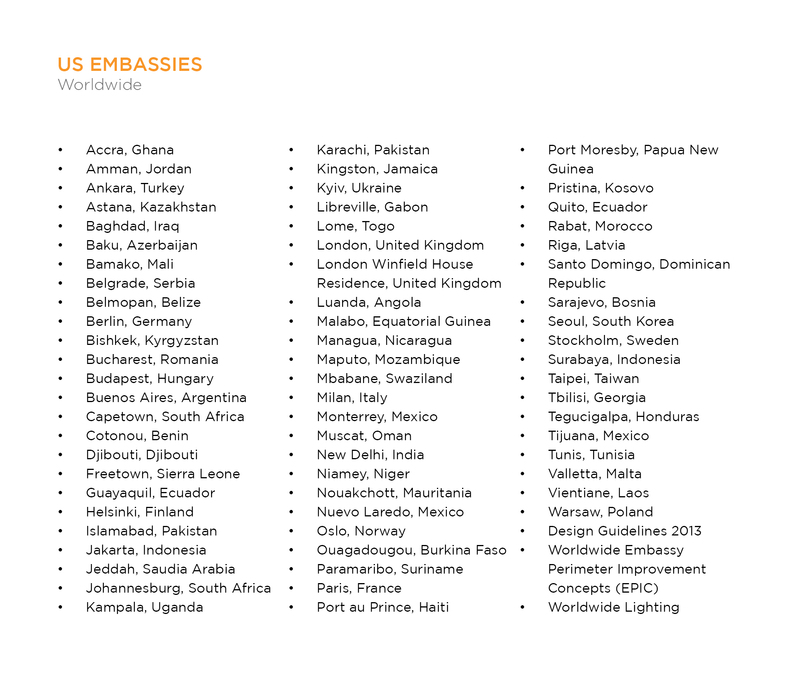 Our firm developed design guidelines for Embassy Perimeter Improvement Concepts; Site LED Lighting Design Guidelines; and Guidelines for Design of Diplomatic Facilities (part of the Design Excellence Program). For more information on our DOS work, contact Faye Harwell at fayeh@rhodeside-harwell.com or visit our Security Design Portfolio in the Work section of our website.